Princeton Instruments will feature its Fergie spectroscopy system, a fully integrated, aberration-free spectrograph with a built-in, low-noise, cooled detector. 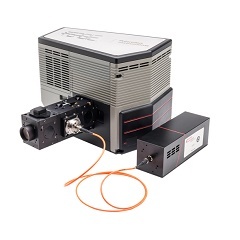 Featuring a 11 x 7 x 8-inch profile, Fergie provides the high sensitivity and low noise needed to address a wide range of spectroscopy applications. Its ecosystem of easy-to-use accessories - including lasers, fibre optics and calibration sources, as well as the family of light-coupling Fergie Cubes - allows scientists, educators, and engineers to put together complete experiments in a matter of minutes. For example, a typical Raman experiment that used to take hours to set up can now be ready in fewer than 90 seconds.